While scanning the news and blogs, there is the usual counterintuitive neo-conservative argument to support maintaining travel restrictions. Sorry, but there is no correlation between American travel restrictions and improving human rights in Cuba. The only human rights being violated by American travel restrictions now are the Americans and Cuban Americans who do travel to Cuba and have to contend with the onslaught of economic pillage by all interested parties in this sadistic game and discussed in the previous blogpost. Keep supporting failure Heritage… “Nothing in the world is more dangerous than a sincere ignorance and conscientious stupidity.”- Martin Luther King Jr. .
“…Part of the problem is that, well, it’s our problem – that is, it’s a Cuban problem. I know few Cubans, and not just in Miami but in Havana too, who want intervention. The vast majority of us – here and there and everywhere – want reconciliation, an end to estrangement, greater civil liberties on the island, a more efficient and open economy, peace and friendship with the U.S. But we want to figure this out amongst ourselves, among Cubans. I know this is hard sometimes for my non-Cuban friends on the left, who are so invested in Cuba they feel it’s practically theirs (and so invested sometimes, that they’re loath to see the evidence with their own eyes of anything that might contradict their ideas). But it’s not. Cuba’s ours. I know it’s hard to imagine that the crazies in Miami should actually have a say in Cuba’s future. does lead one to conclude that not only the shootdown was expected, but could have been avoided. Four lives would have been spared and those men would be with their families today. Tragically this episode became part of the sordid history of U.S. Cuba relations and the flashpoint for the enactment of that other misguided legislation, the Helms Burton Act. But what was at the stimulus for the continual exodus of Cubans to the U.S.? One side will argue it is the Castro government that causes this. Another side will say it is the Cuban Adjustment Act, which effectively allows any Cuban who reaches any U.S. territory with or without legal immigration authorization to remain in the U.S. and adjust their status to permanent residency. Let us just say for argument sakes both are co-factors in the equation. In considering the pathway to normalization, the Cuban American Adjustment Act will come up and something has to done because this Act has had real life and death consequences here and in Cuba. In a day when there is human smuggling and clamors for immigration reform, I cannot see how the presence of this law and preference given to one class of immigrants over all others does not lend itself to resentment by other immigrant groups and a gross policy distortion that our government will ultimately have to account for. Not just in Cuba, but most any immigrant would take the risk of life and limb to reach the U.S. if they know they could stay and could not be deported. It is that simple. Hopefully, Cuba will reevaluate its posture as well. Cubans who do come to the U.S. under the CAA or immigrate legally find themselves disconnected and made pariahs from their homeland – the classification is called Salida Definitiva. The Cuban government should re-examine their migratory policies as many Cuban Americans in this category would like to return to the island to temporarily reside or even receive their U.S. social security checks in retirement on the island. Even though U.S. travel restrictions were lifted for Cuban Americans, it is not the same for them as compared to other Cuban nationals returning from abroad. 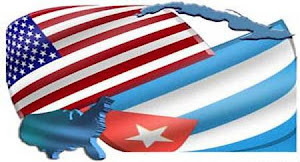 The Cuban government treats the citizens who immigrate or reside in other countries apart from the U.S. better than the way they do the ones that do immigrate to the U.S.- that classification is called Permiso de Residencia en el Exterior. Hopefully in some future dialogue with its citizens and nationals living abroad, this will be addressed and improved. But one of the root causes of this distinction is the Cuban Adjustment Act and the lack of normal relations between our two countries.